All holidays offer you the chance to experience new things, but if you really want to broaden your horizons nothing can beat a cruise trip. These waterborne adventures offer you the chance to explore an array of destinations within a short period of time – and all without the hassle of having to plan your itinerary yourself. Of course, for the best experiences, you’ll need to look out for the perfect cruise deals; these days it’s easy to do that online. 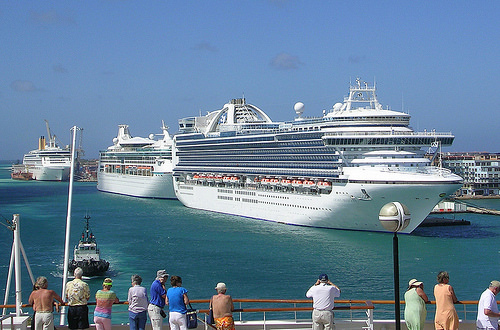 Here’s a rundown of some of the most popular cruise areas. Central America is renowned as a great spot for these seafaring sojourns. This part of the world is packed with iconic attractions. From golden beaches to lush rainforests and mesmerizing Mayan ruins, there’s no shortage of things to see. You can also travel along the Panama Canal, which as well as being a functional waterway is a sightseeing marvel in itself. Cruises in this part of the world can incorporate the likes of Mexico, Costa Rica, El Salvador, Belize, Honduras, Guatemala and Panama. The Mediterranean is another superb place for a cruise trip, and many people are drawn to the delights found in the western parts of this ocean. Covering the likes of France, Spain and Italy, these trips will take you to some of the most iconic cities and tourist attractions on Earth. From the architecture of Gaudí in Barcelona to St Peter’s Basilica and the Vatican Museums in Rome, you won’t be stuck for things to see. Meanwhile, on tours in the Eastern Mediterranean, you’ll get the chance to explore countries like Bulgaria, the Ukraine, Malta, Greece and Turkey. One must-see if you make these trips is the city of Istanbul. Spanning two continents, this vast and ancient metropolis is home to an array of fascinating religious sites, including the Blue Mosque. Then there’s the Caribbean to consider. Famed for its warm waters and white sands, this area is ideal for relaxing sun-soaked cruises. Because of its history, having been settled by the British, Dutch, French and Spanish, this region is home to an array of cultures. It also boasts beautiful towns, verdant tropical forests and historical harbors. Favorite stop-offs include Barbados, St Lucia and Antigua, but there are many other islands to visit too. As long as you plan your trip carefully and choose the best possible itinerary, your cruise should be the holiday of a lifetime. Image by roger4336, used under Creative commons license. This entry was posted in Holidays, Tourists destination, Travel, Travel tips and tagged Caribbean cruise, Central America cruise, cruise, cruise holiday, Mediterranean cruise on June 2, 2015 by Yami.